The Iowa Supreme Court will have a full complement of seven justices when Christopher McDonald is sworn in. McDonald, 44, was appointed by Gov. Kim Reynolds this week, replacing Justice Daryl Hecht, who retired last year as he battles melanoma. Reynolds’ second appointee, after naming Susan Christensen last August, brings to the Court the perspective of a Vietnamese-American, a practicing lawyer, and a trial and appellate judge. 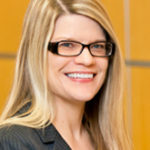 McDonald has served on the Iowa Court of Appeals since 2013. 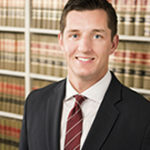 He is a graduate of Grand View University and the University of Iowa Law School. 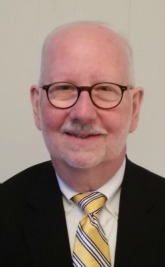 He clerked for Eighth Circuit Court of Appeals Judge David Hansen, and practiced law at the Des Moines law firms of Faegre Baker Daniels and Belin McCormick. He was senior counsel for litigation at Aviva before being appointed to the Fifth Judicial District Court by former Gov. Terry Branstad. The nine-member Iowa Court of Appeals elected Judge Gayle Nelson Vogel chief judge, replacing Chief Judge David Danilson, who retired Jan. 4. Vogel, of Spirit Lake, has served on the Court of Appeals since 1996. She becomes the ninth chief judge since the Iowa Legislature established the Iowa Court of Appeals in 1976. Federal court operations will continue as normal for at least one more week, federal judicial branch officials said in a news release this week. The court administration had said court operations would continue through Jan. 18 during the federal government shutdown. Thanks to cost-saving measures, however, that has now been extended another week, until Jan. 25. President Donald Trump’s appointment of Sioux City native Jonathan Kobes to the U.S. Court of Appeals for the Eighth Circuit was confirmed by the U.S. Senate Dec. 11. The vote was split 50-50 with Vice President Mike Pence supplying the tie-breaking vote. Kobes will replace Judge Roger Wollman, who has taken senior status. Wollman, who was appointed to the Eighth Circuit in 1985 by President Ronald Reagan, turned 84 this year. Kobes, 44, graduated from Dordt College in Sioux Center in 1996, Harvard Law School in 2000 and clerked for Judge Wollman after graduation.